Broad purpose of this report is to analysis Shrimps Export from Bangladesh. Recently, customers demand in the developed countries relating to fisheries product generally shrimp has undergone substantial changes as regard to taste and choice. Keeping in observation this changing condition, Bangladesh had been able to export upscale fishery product mostly shrimp in partial quantity through relentless effort during the last few years. 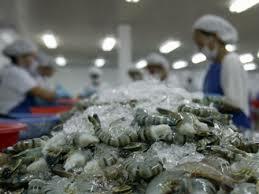 Other objectives are to appraise the export performance of shrimp in terms of volume and value. Finally describe to identify the problems with regard to shrimp export and suggest measures that may help increase the export to shrimp from Bangladesh.